* Revive your inner soul by mesmerizing and clear sunrise & sunset from the farm river. * Experience firsthand seasonal farm activities like ploughing, harrowing, sowing, cutting, harvesting, planting trees, etc. * Explore and understand different types of irrigation system (Drip, Flood, Sprinklers, etc.) 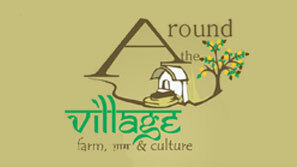 to get a holistic experience of running farm. * Leisure strolls through the village, weekly market to soak in the village Life. * Visit the local temple. * Explore different crops - fruit, vegetables, grains, pulses & fodder and learn about what goes in to growing healthy & clean Farm Produce. * Marvel at the view of beautiful local and nearby historic & religious places. * Experience the earthy feel pf a barn and mooing, milking, and feeding of cows with a visit to the dairy farm. * Visit the oil mill to understand the oil extraction procedure. * Just relax or read under a mango/guava tree for those who are looking to simply get one with nature. * Enjoy star gazing, under the clear, un-piluted village sky. * Have a family barbeque & camp fire while listening to the humming of cricket and the tiny sparkles of fireflies. * Birdwatching in the home turf to peacocks, cuckoos, maina, white stork, Indian pitta, Brahminy kite & other beautiful birds. * Group activity/workshop as per your requirements. * Be a child once again playing traditional rural games long forgotten. * Bullock cart rides to revive the memories you my have or to create a new memory to cherish.